One Weird Mamma Breaking expectation around being normal & fitting in. I believe that becoming a mother is an empowering and uplifting process and I strive to provide new and expecting mothers with the information needed to make the best choices for your family. 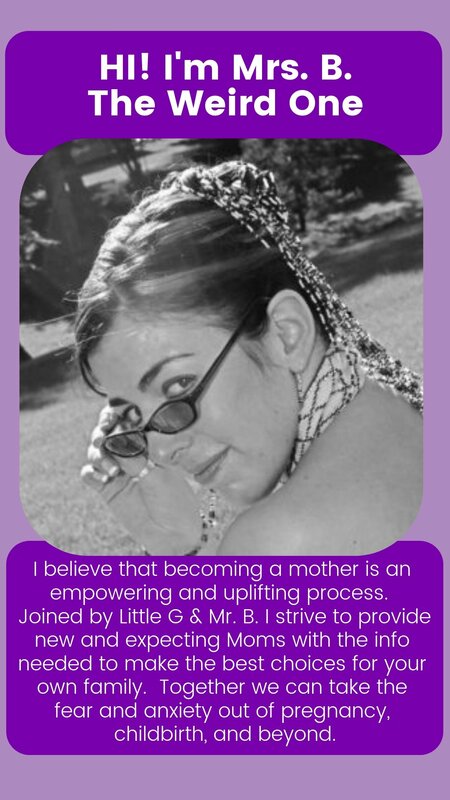 Together we can take the fear and anxiety out of pregnancy, childbirth, and beyond. Having said that I feel it is fair to be compensated for the incredible amount of time I am investing in this blog. I truly hope you enjoy reading, but remember that any and all information found in this blog is strictly for entertainment or general information purposes only. My general compass for operation and action can be summed up in the “Golden Rule” of “Do unto others as you would have them do unto you”. But as you are reading this page I’m thinking you would like some more specific details on how I see that standard of ethics. No matter how you have arrived here either from a recent post, recommendation, give-away or review post here are the specifics I base my Code of Ethics on in blogging. While I may write posts on the topic of “health” or “healing”, I am absolutely not a doctor, nor do I claim to be giving health or medical advice. Any health or medical related articles found on this site are documentation of my own experiences and not suggestions for you to follow. Please if you are dealing with a medical situation or concern SEEK THE HELP OF A PROFESSIONAL! Only they and you can accurately determine what your situation and best option(s) are. I work off of my own experiences and personal background. I do NOT accept cash for post reviews it just feels unethical. Meaning I do NOT review any product or service unless I’ve actually used it myself. Which means that if you want me to post a review for you Mr/Mrs PR person send me a sample, if I like it I’ll let my readers know. I am not a fan of spreading around the negativity, I prefer to focus on the good stuff in life. So if you send me something and I don’t like it, I’ll let you know and not mention it again. There is too much negativity in the world for me to want to add to it. This means I may get a small commission if you purchase something through the links, banners, or ads on this site. It doesn’t cost you anything extra to purchase and it helps me keep this site operating. I will only ever post things that I value and trust. All opinions are 100% my own. Thank you for your support! If your friend’s, brother’s, Mother-in-law disagrees based on something they heard on social media, or someone else I’m not adding that to the post. You are of course welcome at any time to send me an email with your concerns and we can discuss. I’d be happy to see any resources that you have that I may have missed. While I rarely (if ever) use profanity or inappropriate images it still should be known that if your service/product/event is reviewed by OneWeirdMamma, you have no control over the content of the post it goes near or the contents of the review. Do not request that the reference to drinking cocktails, breastfeeding or another possibly controversial topic out of the post because you are a “___fill in the blank here ___” company. Please see our Social Media Policy for more related information. I like to encourage discussions so feel free to pop over to our social media and let us know what you think in a respectful way at any time. If you sign up for our newsletter, answer polls or surveys we collect information from you and will always keep it confidential. It may be available to companies that help us run this website but otherwise, it stays with us. We don’t give out or sell your information to 3rd parties. And will only use it to improve your experience with us, unless we are required to provide it to law enforcement. Some of the links on our site will permit you to purchase items or review other websites, they have their own policies so please ensure you check them out. We are not to be held accountable for someone we can’t control. Others like some of the ads or cookies we use will collect information to improve your experience. If you want to know what information we have collected from/about you check out our Privacy Tools where you can download or delete it at any time. It’s automatic so you don’t have to wait until we do it for you. Or you can email me and I’ll delete it for you. In a nutshell, you should know that my loyalty is always with MY READERS. And I never want the readers (that’s YOU) to feel like I am SELLING them a product. I want you to feel like a good friend is just letting you know about her experience, sometimes that includes a brand or product. And you have my word on it. For all the fancy “leagal” stuff feel free to check out the following pages for more information.